Gone are the days of nails that chip and flake after only a few days! 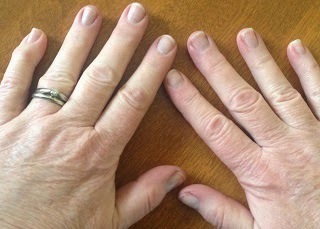 Gone are the days of the single colored, boring manicure. Gone are the mani/pedis that take up your whole afternoon... and most of your cash too! Jamberry Nail Wraps give you high-end style and confidence - while demanding very little of your time... or your money. 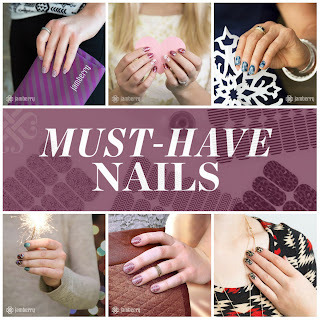 Jamberry Nail Wraps are heat-activated vinyl nail wraps that come in over 300+ designs. Or you could design your own! One sheet will cover 2 to 6 manicures/pedicures. They last up to 2 weeks on your fingernails, and up to 6 weeks on your toenails. They won't chip or fade like nail polish, and they won't damage your nails - like acrylics or gel nails can. And there is NO DRY TIME! MORE BENEFITS: No harmful chemicals, latex-free, gluten-free, formaldehyde-free and cruelty-free (never animal-tested!)! Can be used on artificial nails. I'm excited to receive the Jamberry sample I just ordered. I've seen Jamberry around, this will be a great way to try them out.